In addition to brushing and flossing your teeth to keep them strong and healthy, tooth remineralisation may be helpful as part of your oral healthcare arsenal. This process fortifies the teeth with minerals to help prevent tooth decay. At Caulfield Park Dentists, we offer remineralising treatment to restore essential minerals to teeth that acids wore away in a process called tooth demineralisation. By strengthening your teeth, you may prevent cavities or caries from developing. Our multipronged approach to remineralisation includes removing areas of acid-producing bacteria from your teeth, instructing you about effective oral care practices and recommending a teeth-friendly diet. We also offer an array of topical remineralising protocols that foster strong and healthy teeth. These may be beneficial whether you’re in good overall health or are dealing with a health challenge such as cancer. Amelogenesis Imperfecta (AI). This uncommon, genetic developmental defect affects all teeth, and is a result of a malfunction of the proteins that reside within the tooth enamel. Dental fluorosis. This condition is characterised by mottled white and brown patches in the tooth enamel. Dental fluorosis develops due to an excessive fluoride intake while the teeth are being formed. Dry mouth (xerostomia). This uncomfortable, yet common condition, can have a variety of causes including medications, aging, medical treatments, smoking and more. Eating disorders. Conditions such as anorexia or bulimia, which often include recurring bouts of vomiting, may contribute to demineralisation. Enamel hypoplasia. Those with this disorder are deficient in tooth enamel thickness. Teeth can present as unusually thin in certain places. Hypomineralised enamel. Though enamel thickness is normal for individuals with this condition, the mineral strength is abnormal. Medically compromised. These are patients with HIV/AIDS or individuals with cancer who are undergoing radiation and/or chemotherapy. Molar incisor hypomineralisation (MIH). This condition, which affects the enamel of one’s permanent teeth, has a variety of causes such as antibiotic use, childhood diseases and more. Orthodontic treatment. Inadequate oral hygiene practices while wearing braces can result in white spots on the teeth. Pregnancy. Women who experience morning sickness with bouts of vomiting that affect teeth may benefit from remineralisation. 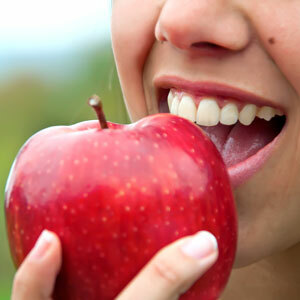 Tooth decay or erosion from poor diet or gastric reflux. A diet that’s high in sugar can contribute to tooth decay. Also, those with gastric reflux also may experience demineralisation due to heartburn that can cause tooth damage. If you would like to learn more about tooth remineralisation at Caulfield Park Dentists, contact us today to book a consultation! We offer same-day and Saturday appointments to stay flexible to your busy schedule.